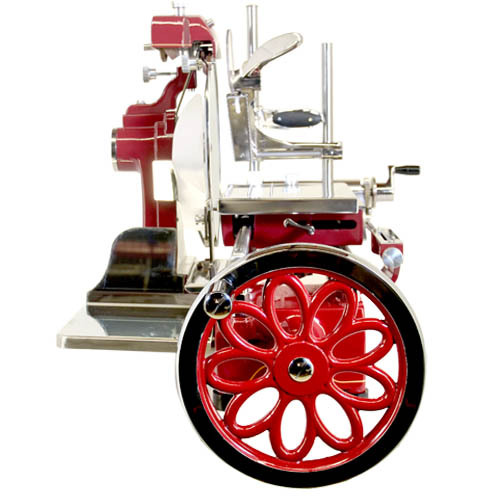 Designed in brilliant red with nostalgic appeal, our Manual Volano Slicers are an eye-catching addition to any restaurant. 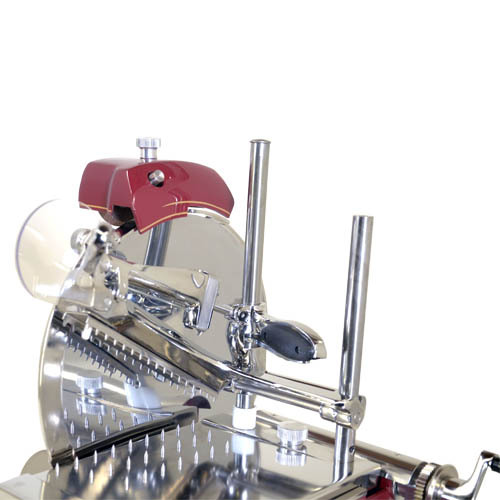 These units are fully hand operated, simple to maintain and operate and built for durability and consistent slicing - making them ideal for prosciutto. The built-in blade sharpener keeps the blade sharp for efficient cutting. 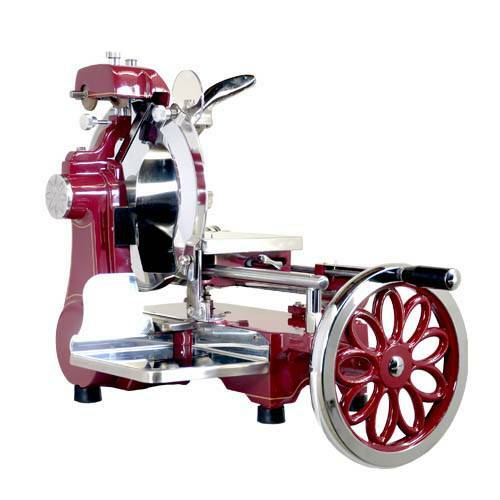 The slicers are equipped with a protection ring around blade to meet CE standards. Other flywheel and trim colors are available as a special order. 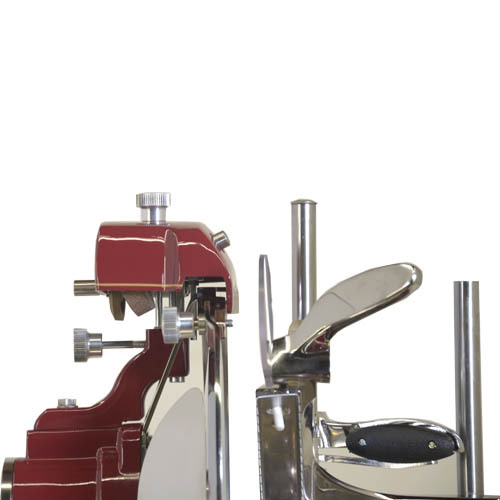 These machines are also available in different colors. 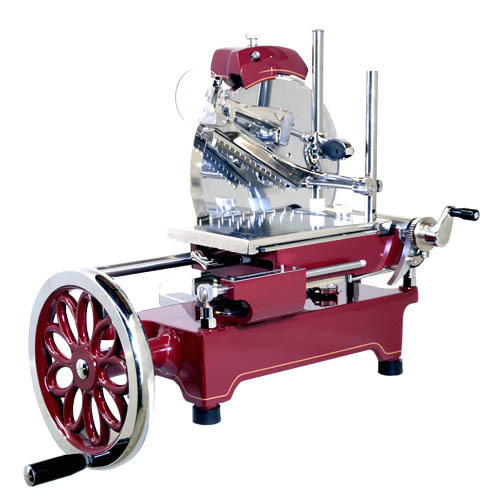 This meat slicer can even be used as a vintage accessory in an Italian meat shop or restaurant!